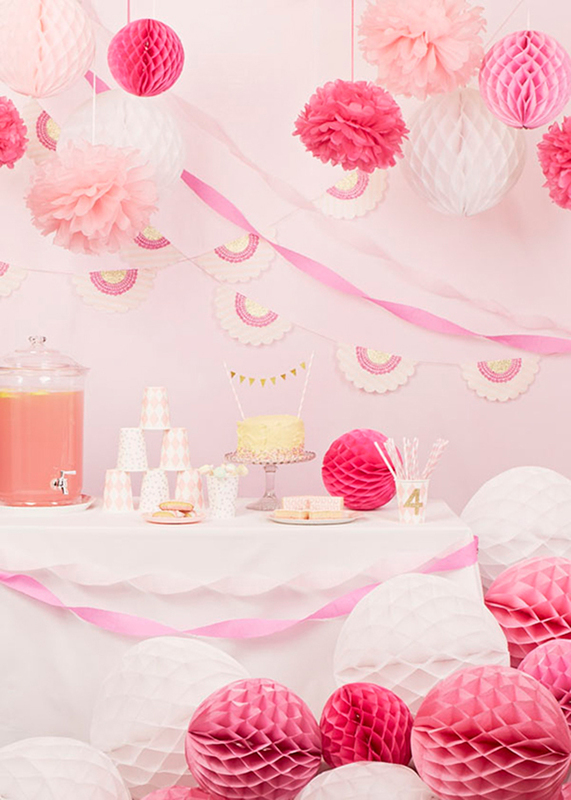 This pink party table is so dreamy and sweet! It’s from a photoshoot for a UK-based store, papermash, that sells the poufs, honeycombs, cups, straws, glitter tape, baker’s twine, doilies, and everything else shown in this picture. (UK friends, get to shoppin’!) For more gorgeous photos, visit 100 Layer Cake-let. Are poufs the hanging balls?